Franky and Ballas, two longtime best friends and popular high school swim teammates, find their worlds plunged into chaos after an unexpected incident occurs the night of Franky’s 17th birthday. Writer/director Keith Behrman does something in this teenage coming of age indy film that few other directors have achieved – he has created a realistic, heartfelt movie with something important to say about the murkiness of teen sexuality, without oversimplying his message, relying on clichés or talking down to his audience. Despite a slow and somewhat clumsy first act, the film has a strong millennial point of view, supported by a solid ensemble cast – Josh Wiggins and Darren Mann as the two boys, Taylor Hickson as Ballas’ sister, and Niamh Wilson (Saw III through VI) as Franky’s potentially transgender-oriented friend, Mouse. The excellent soundtrack and subtle body language of the cast breathes life and believability into this poignant and complicated tale, proving a movie doesn’t have to have a tidy Hollywood ending to be good. • In addition to playing Franky’s mom in Giant Little Ones, Maria Bello (Macfarland USA, Lights Out) is one of its executive producers. 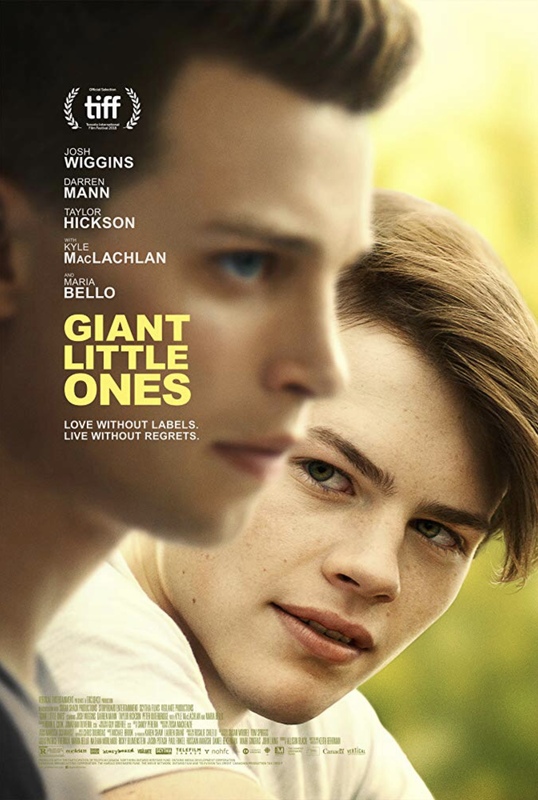 • Giant Little Ones star Josh Higgins can next be seen later in 2019 in Light From Light, a drama starring comedian Jim Gaffigan and Marin Ireland. • Canadian singer/songwriter Taylor Hickson, who also appeared in Deadpool, can also be seen in the SyFy network series Deadly Class.